Kelly, Faith, Hope, Norm, Keira, Sienna, Tillie, Bodhi and Rebecca with a cheque for the Good Friday Appeal. The Eastern80 charity bike ride has successfully raised $10,327 for the Royal Children’s Hospital Good Friday Appeal. The organiser of the event Norm Orr was pleased with the figure raised from the event in February. “It was a fantastic day; we had a fair few new riders get involved. “We had 65 riders this year compared to 70 odd last year but we still raised over ten thousand dollars, which was fantastic. Each year the ride selects an ambassador and this year it was Ian Burrows, formerly of Launching Place. Mr Burrows is someone with extensive first-hand experience of the Royal Children’s Hospital after facing many health challenges in his early years. Mr Burrows has carved out a life where health and fitness play a big part. 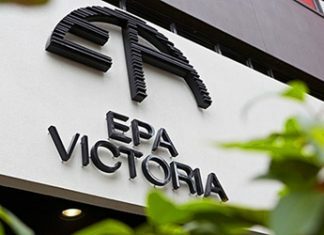 He is an AFL boundary umpire who has officiated in 274 AFL matches, including seven grand finals, commencing his career with the Yarra Valley Umpires Association in 2001. Mr Orr said that Mr Burrows had brought out ten other umpires to join the bike ride. Mr Orr said that he was initially unsure as to whether they were going to crack the $10,000 mark as the event drew near. 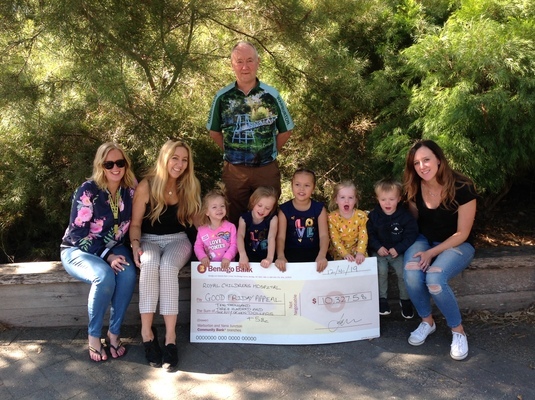 He said they were $100 shy of the goal before a generous donation of $487 from Bacchus Marsh Kindergarten and Childcare pushed them above the milestone. Mr Orr said that the kindergarten held their own bike ride to raise the funds.